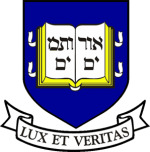 This Yale College course, taught on campus twice per week for 75 minutes, was recorded for Open Yale Courses in Fall 2009. A native of Cuba, Roberto González Echevarría is Sterling Professor of Hispanic and Comparative Literature at Yale. He has Ph.D. from Yale, and honorary doctorates from Colgate, the University of South Florida, and Columbia. In 1999 he was inducted into the American Academy of Arts and Sciences. A speaker of Spanish, English, French and Italian, González Echevarría covers Spanish, Latin American, French, and Italian literatures. The author of many books in English and Spanish, his Myth and Archive: A Theory of Latin American Narrative won awards from the Modern Language Association of America and the Latin American Studies Association. The Pride of Havana: A History of Cuban Baseball won the first Dave Moore Award (Most Important Book on Baseball).